Learn to make two impossible objects without glue or other bonding agents. You can hand it out for examination. No joint or slit will be visible, because there is none. No glue or hidden cuts or anything like that. 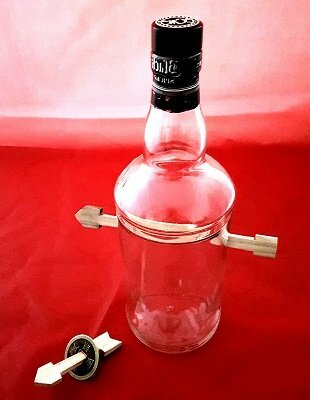 Have a wooden arrow pass through a Chinese coin with a hole or a bottle with a hole. The tutorial is great, covers everything, easy to follow. I think this is a great deal for this price!